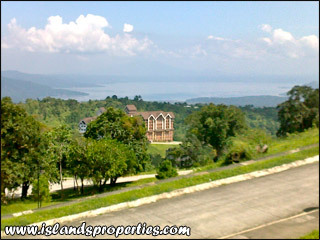 Lot with Fantastic and Unobstructed Views of Taal Volcano; Lot Area: 400 sq.m. Land located at Phase 2 of Canyon Woods Residential Resort, a world-class resort with 5-star amenities. Please contact Malu @ 0928-500-0588 or by email bagaholicmnl@yahoo.com for more details.